Pepper's Gallery Tokyo and etc. which are "purely clear, and also very easy to make space. 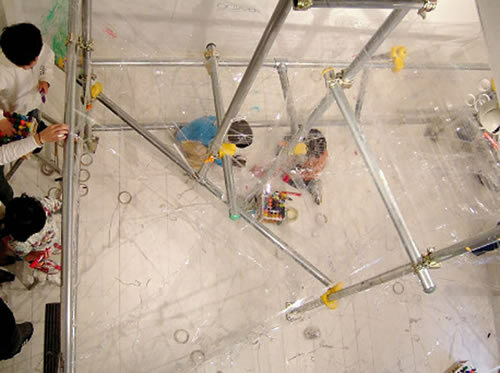 the structure made by steel pipes and tapes, 6m high. 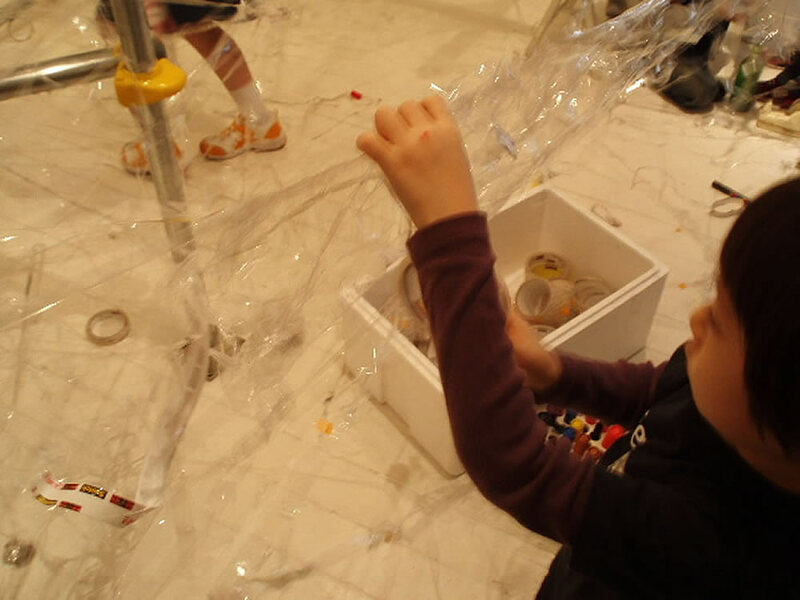 This was the project workshop in Clayarch Museum in Korea in 2011. The workshop in the exhibition in the Pepper's loft gallery, supported by 3M. 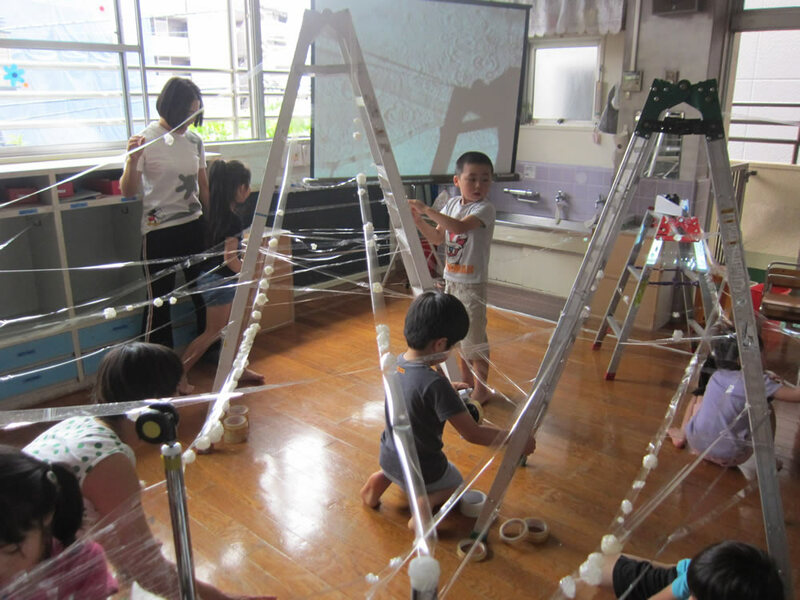 This was the project workshop in the public kindergarten in Tokyo in 2012. 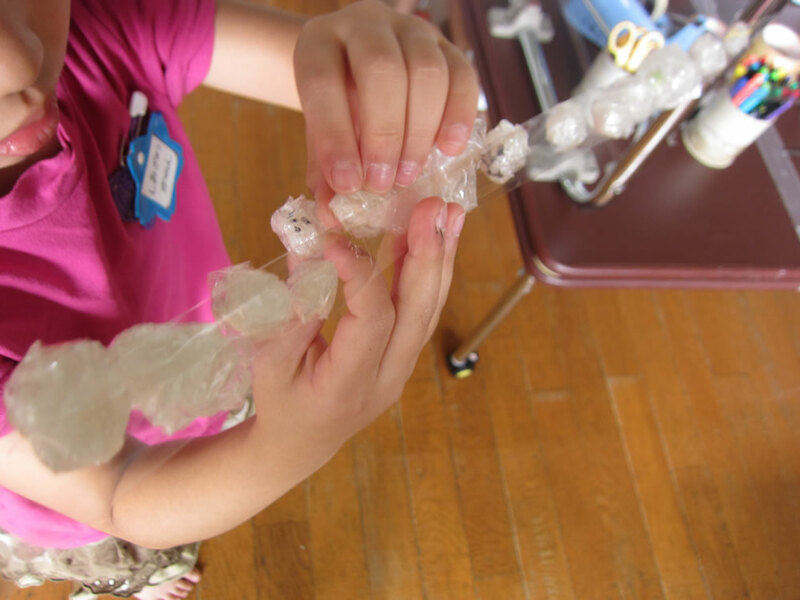 For the introduction, I told the children how to make "a drop" to touch and feel the texture of the material. After warming up, they could spread out to make space with tapes. I tought it was quite good that they used their body with their creativity. I made a flat surface by tapes in a small part of this space for a tip to do something for them. 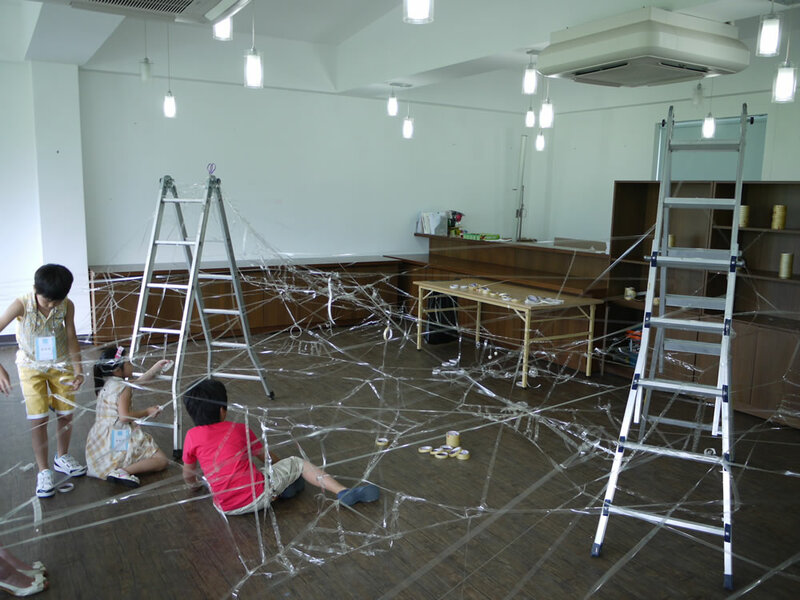 Some children started drawing something. 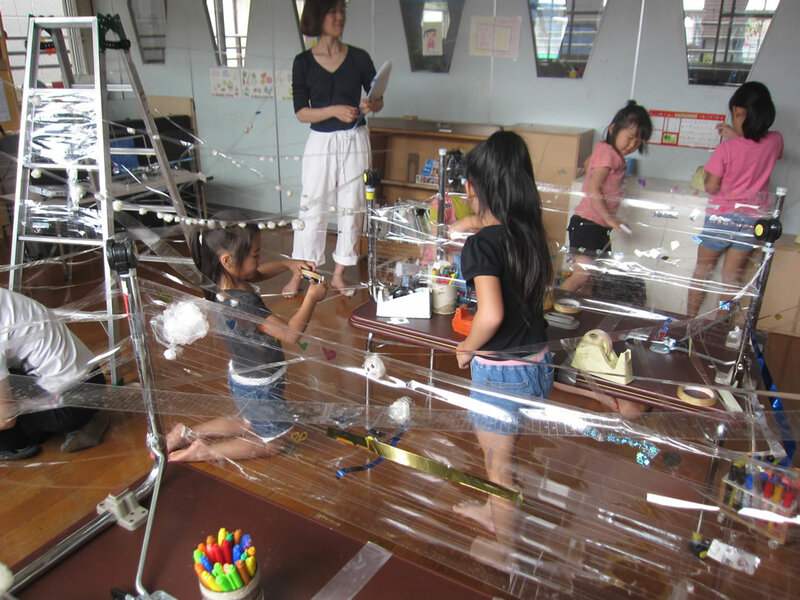 My art workshops were improved and sophisticated with my awareness in every session with children and their reactions. 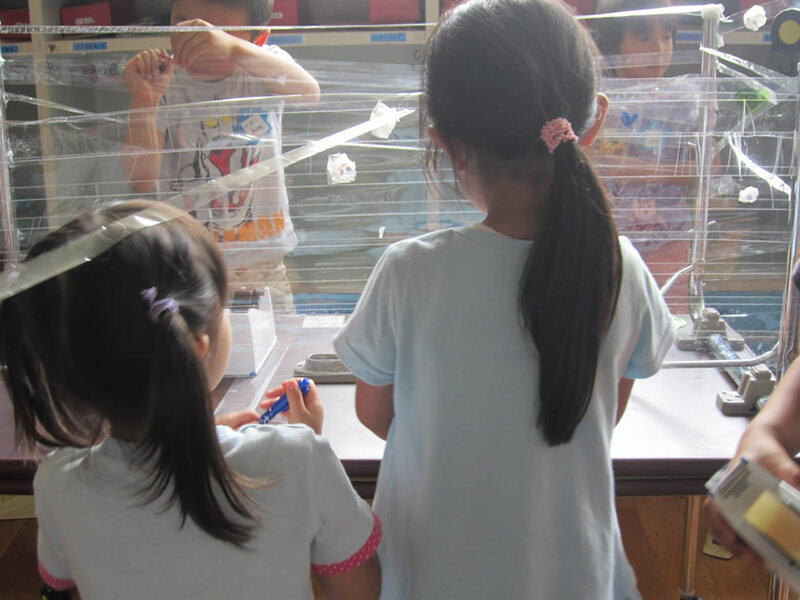 Most project workshops of public schools(I had done workshops at nurseries, kindergartens, elementary schools and high schools several times a year) organised by NPO Children Meet Artists.